Reddit recently asked their users, "What's the best horror story you can come up with in two sentences?" And their responses were terrifying! Who knew we could be so scared by such small stories? It's absolutely brilliant and here are a few of our favorites. What an absolutely fantastic writing exercise. There's tons more over at AskReddit, though we're not sure if the blinking reflection can be topped. *Shudder*. 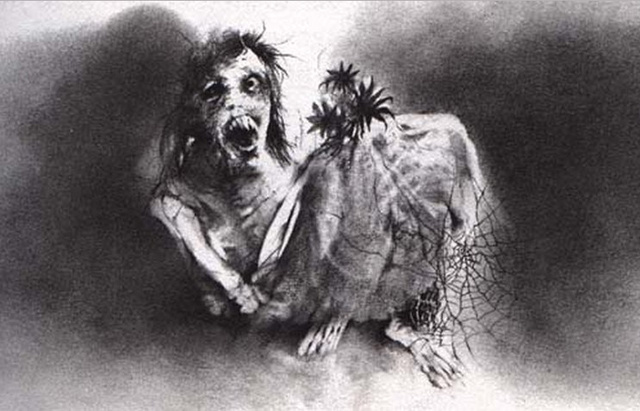 Illustration by Stephen Gammell from Truly Scary Stories To Tell in the Dark. Because the rest of us think you're an idiot. What an absolutely fantastic writing exercise.